Plants are doing ok, but not great. Mixed results so far - I'm experiencing a bit of buce melt. Java fern and crypts look good. Myriophyllum sp. ‘Mini Guyana’ totally melted away. Probably should have waited to add it once the tank was established. Lagenandra Meeboldii Red is putting out new leaves. Fissidens are doing well. Star grass is putting out new leaves and melting at the same time. I'm not sure whether I should chalk it all up to the cycling process and fluctuating levels of ammonia, nitrites and nitrates, or if I have something else going on. Most aquatic plants are farmed emersed and go through a melting phase while they convert to submersed growth in the aquarium so maybe that's your issues with some of the plants? I've never had buce melt back before though. I'm wondering if they are adjusting to a higher light environment due to the shallow tank. Some species look good. Brownie blue is being temperamental. Might find a plexiglass fabricator and have them make a 3 sided extension sort of like this for 3 sided jump guard. Maybe even have them build in some small soil trays along back water line and plant some shore vines like hydrocoytle japan or golden pond penny. Some Ludwigia Sedioides floating on top would look nice. Would probably even flower. plant some shore vines like hydrocoytle japan or golden pond penny. I've got the hydrocoytle japan already planted - it is transitioning right now to emersed - a couple of spots melted away but I have one patch that is beginning to show new growth. Some Ludwigia Sedioides floating on top would look nice. That is a great idea. I'm toying between that (my ph might be too high for it), or maybe Azolla Caroliniana or red root floaters or salvinia cucullata if I can find some. This tank is maturing along. Buce melt has stopped and they are putting on new leaves. A few other plants aren't happy about the ammonia I keep adding to maintain the biological filter until I get fish, but that will stop soon as my tank is finally cycled! Still making fish decisions, but for sure I'm going with a small shoal of pygmy cories. Not sure how many to get - 9? 12? I'm going to order these soon and continue to think about what else might work. I'm still contemplating endlers. I can't seem to choose a color variant. I'm drawn to magenta, or staeck, or yellow tigers. Not sure what will look best against light sand. Another option on the short list is gold ring danios. Maybe start with 15 and watch how fast/slow your nitrates climb. 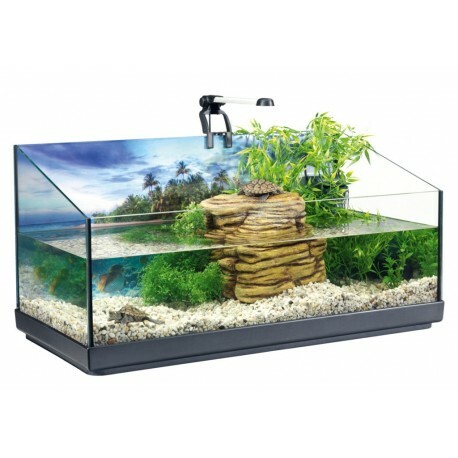 That's what I plan to do with my shallow tank once I move the Betta to a new tank. That is such a cool video. I've had mixed luck with dwarf cories in the past - hopefully this time they are happy and healthy and stick around. Where are you ordering from? Pygmy cory can be delicate because of their small size. IMO, it's much better to get them from an LFS once they're had them for a couple days, even better if they quarantine. I think I'm going to order from The Wet Spot. My LFS doesn't seem to stock them regularly, and they have been so-so about special orders in the past.